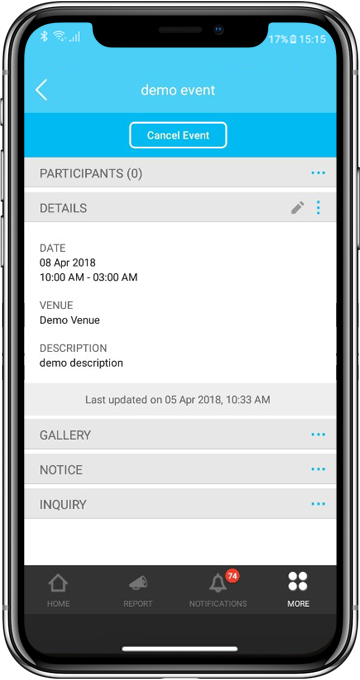 Manage Event is a feature in i-Neighbour that allows the Admin/Management to organize or arrange any particular events that will be taking place in their residences. This feature is also to keep the residents informed of the activities that are or will be held within the neighbourhood. To proceed to the Manage Event Overview, please login to your Admin account at www.i-neighbour.com > Neighbourhood > Manage Event. In the overview, Admins will be presented with a range of functions in order to fully organize the Events such as Add Event, Edit Event, Cancel Event, Delete Event, Search Event and Print Event. 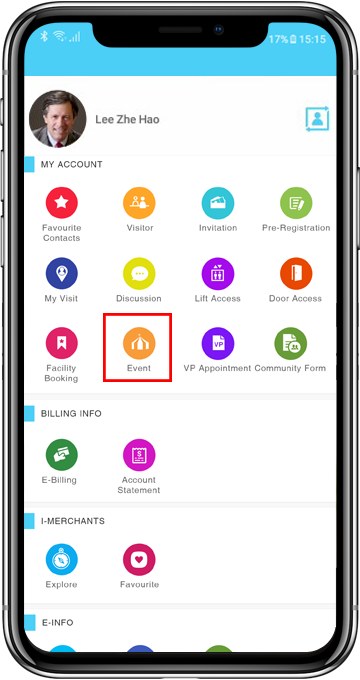 To proceed to the Manage Event Overview, please login to your Admin account in i-Neighbour Mobile App > More > Manage Event. In it, the Admins can utilize functions such as Add Event, Edit Event, Cancel Event, Delete Event and Search Event. Please be informed that only the Admin/Management in your neighbourhood can add an event for the community. Therefore, please login to your Admin account at www.i-neighbour.com > Neighbourhood > Manage Event > Add Event. 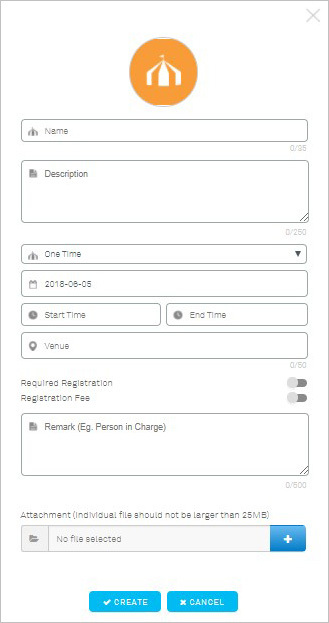 Next, a pop-up form will appear for you to fill in the necessary details such as Name, Description, Event Type, Date, Time, Venue and etc of the event being created. 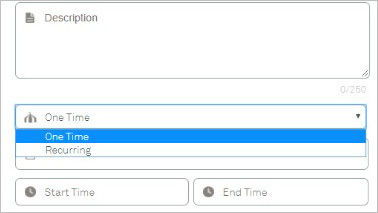 For Event Type, please select One Time if the event only takes place in a single day or Recurring if the event takes place in multiple days. 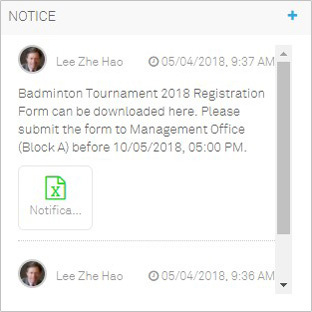 If the event requires a registration period on the residents’ side, proceed to enable ‘Required Registration’ and provide the date range for the residents to register. This is to ensure that the residents can only register their participation by the date provided. Otherwise, the residents can proceed to register themselves right until the event has started. Once done, click Create to add the event. Please login to your Admin account in i-Neighbour App > More > Manage Event > Add Event / ‘+’ Icon. In Add Event, the Admins will be presented with a similar form as while adding Event in Web. Proceed to fill up the necessary fields provided in the form and click on Submit to create the Event. A pop-up will then be displayed indicating that the Event has been created. 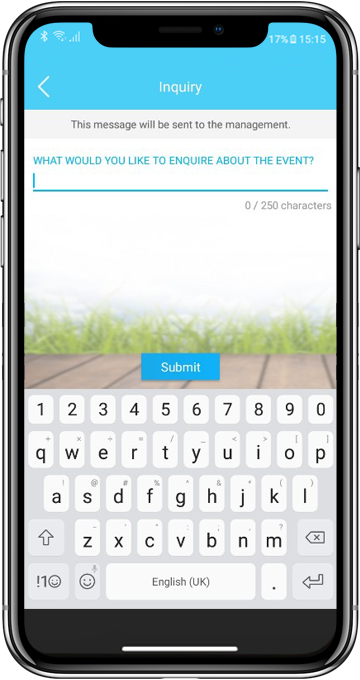 After creating the Event, Admins can also edit the event whenever necessary or when there is a change of plan. To do so, please choose the event and click on the icon under the EDIT column. Next, the Admins will be presented with the details of the event selected. Hence, click on the Pencil Icon besides the Details column to edit the info. Once done, click Save to confirm the changes. Other than changing the information that was inputted previously, the Admins can also add photos/videos, view the amount of participants involved and even post a notice for the event. 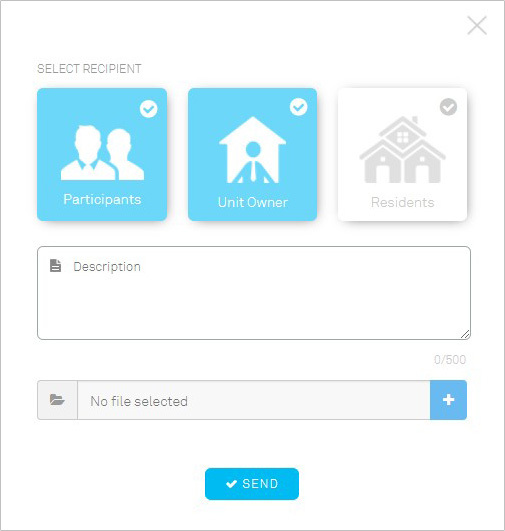 While posting notices, the Admins can also select the types of recipient such as Participants, Unit Owner and Residents to relay the posted message. Note that for Participants option refers to only individuals that join the event, Unit Owner option refers to just the owners of a unit and Residents refers to every residents in the neighbourhood including the family members, tenants. What’s more, attachments can be included into the notice as well. 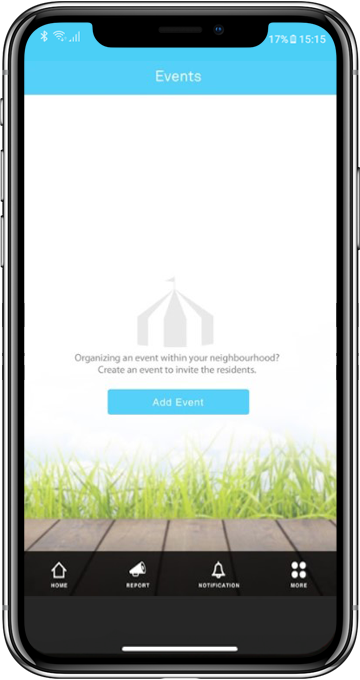 To edit the event using i-Neighbour App, please tap on the event created in order to be presented with the details of the event. Next, tap on the Pencil Icon beside the Detail Column in order to begin the editing process. Once done, tap on Submit to save the changes. 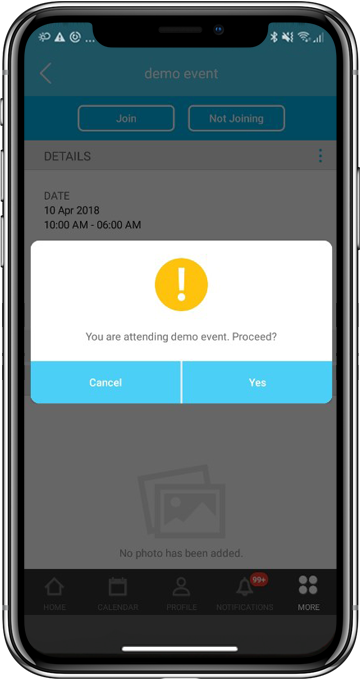 A pop-up will then be displayed to confirm the changes and the participants will be notified of the changes after tapping on the ‘Yes’ Button. Additionally, the Admins can also add in photos as well as notices via the respective section and tapping on the Add Now Button. ONLY the Admins of the neighbourhood can cancel or delete an event. To delete an event, the event must first either be cancelled or already expired. Therefore to cancel an event, the Admins must login into i-Neighbour Web and proceed to the Manage Event section. 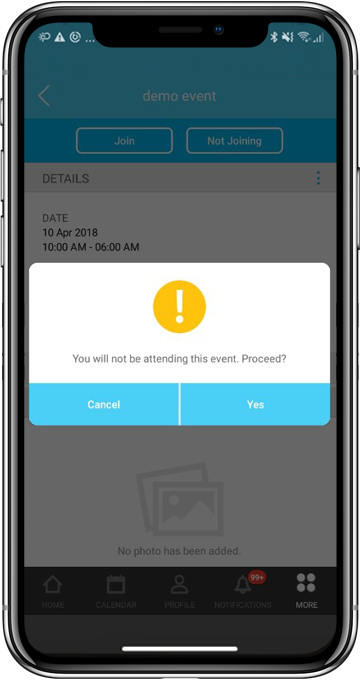 Once selected the event, please click on Cancel Event Button at the top right of the Event Detail Page and a pop-up will appear in order to confirm the action. By clicking on ‘Yes’, the event selected will then be cancelled and any participants within the event will be notified of its cancellation. After completing it, Admin can now proceed to the Manage Event Overview in order to delete the cancelled or expired event. Please click on the Trash Icon under the Edit Column on the event that you wish to delete. A pop-up will then appear to confirm the action. * The Event Data can NO longer be retrieved once it has been deleted. In i-Neighbour App, please proceed to cancel the event by tapping on the event under the Manage Event Overview page. 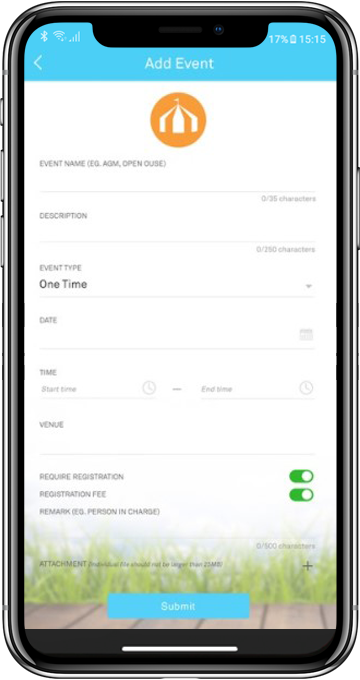 Next, tap on the Cancel Event Button at the top of the Event Detail Page and a pop-up will appear in order to confirm the action. By clicking on ‘Yes’, the event selected will then be cancelled and any participants within the event will be notified of its cancellation. 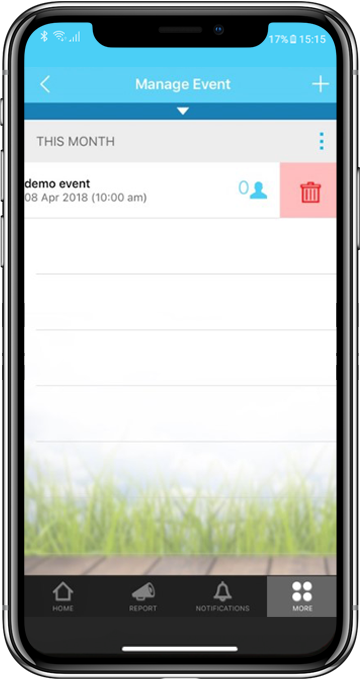 Lastly, scroll towards the event that you wish to delete under Manage Event Overview, then swipe left on the selected event to reveal the Trash Icon. Tap on the icon to delete the event. A pop-up will appear to confirm the action. 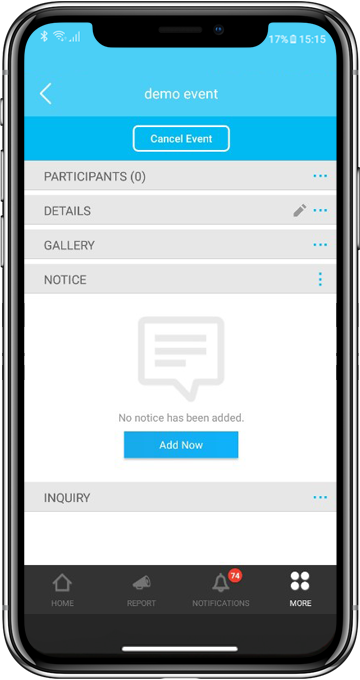 For recording or reviewing purposes, both the Admins and Residents can also filter the event list by using its search function. Place the date range into the Search function in order to look for the specific events. On the other hand, ONLY the Admins can utilize the print function by clicking on the Print Icon beside the ‘Add Event’ Button in order to print the listed event. Note that if no date range is inputted in the Search function, the Print function will print out the entire event listing. In Mobile View, both the Admins and Residents can utilize the Search function by tapping on the Arrow icon just below the Manage Event/Events Overview. As such, please input the Name or Date Range of the event and click on the Search button in order to look for the specific events. Unfortunately, the Print function is not available within i-Neighbour App. Therefore, Admins can only print out the event listing via i-Neighbour Web. After the Admins have successfully created the event, the residents can now gain access to the event by logging into their account at www.i-neighbour.com > NEIGHBOURHOOD > Events. In it, residents will be provided with an overview of all the events that had occured or will occur. Therefore, residents can view the details, notices and photos included for the respective event by clicking on the View Icon under the EDIT column. Note that residents cannot make changes upon the details of the event but are able to send in inquiries by clicking on the ‘+’ Icon at the Inquiry section. 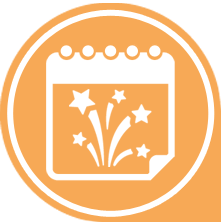 After the Admins have successfully created the event, the residents can now gain access to the event through “Home Page”> “Events” or “More” and under “My Account” > “Events”. Under the “Events” page, the events are listed within “This Month”, “Upcoming” and “History”. For “This Month”, residents will be presented with a list of events that are taking place on the current month. While for “Upcoming”, residents can view it to be informed of the events that will be carried out soon. As for “History”, this is where the residents can look into for the events that had already occurred previously for reference. Once selected an event, resident can view the details, notices and photos included for the respective event. Residents cannot make changes upon the details of the event but are able to send in inquiries by tapping ‘Add Now’ at the Inquiry section. Before proceeding to join any events, it is recommended that residents take note of the Registration Period and Registration Fee. Please be informed that if there is a Registration Period, the residents can only join the event by the date provided. 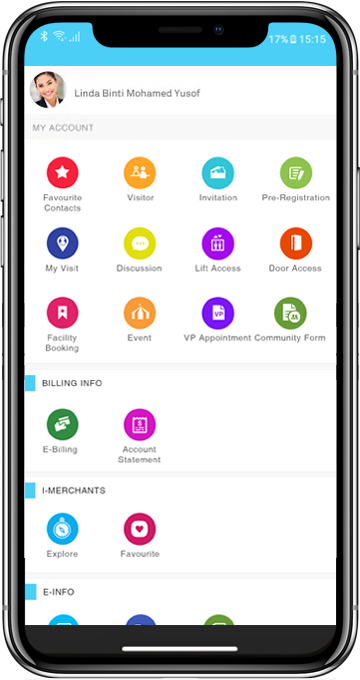 As for the Registration Fee, payments should be made to the management instead and not via i-Neighbour App. That said, to participate in an event, the residents can choose to click on the Join Button while in the Event Detail Page. A pop-up will then appear to confirm the action. Otherwise, the residents can select not to participate by clicking on the Not Joining button. 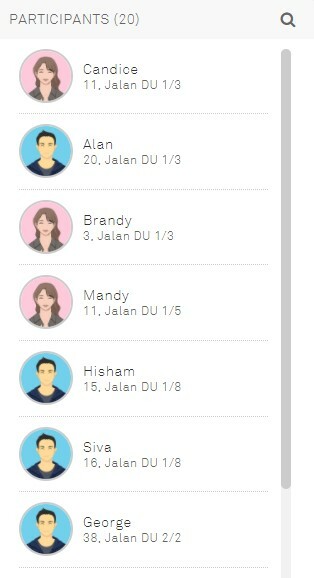 If there is a change of plan, note that residents can still select to Withdraw or Join the event again by tapping on the relevant button displayed. While viewing the details of the Events, residents can also choose to participate in the selected Event by tapping on the Join button at the top of the Event Detail Page. A pop-up will then appear in order for the residents to confirm the action. Otherwise, the residents can select not to participate by tapping on the Not Joining button. If there is a change of plan, note that residents can still select to Withdraw or Join the event again by tapping on the relevant button displayed. Unfortunately, No. Once cancelled, the event can no longer be activated again. In order to rectify this issue, please proceed to delete the cancelled event and add it in again via the Add Event function. No, you may not do so. Once a participant has already join an event, he/she cannot be removed from the event unless the event is cancelled. However, in doing so, all participants in the event will be removed as well. The Registration Fee section is designed only to inform the residents of the amount of payment required to join the event. Hence, depending on the management, payments normally can be made upfront once the residents have arrived at the event. If there is a Registration Period, residents will be required to join the event by the date stated. Therefore, once the date is over, the residents will no longer be able to join the event but can still withdraw from the event. If there is no Registration Period stated, the residents can proceed to join or withdraw from the event right until the event has started. No, there is no limit as to how many times the residents can rejoin or withdraw from an event unless there is a Registration Period stated. In this case, once the Registration Period has ended, the residents can only withdraw from an event and not be able to rejoin back in after withdrawing. Unfortunately, No. Events is designed to cater for the conveniences of the residents within a neighbourhood ONLY. Your participation can only be viewed by the Admins of the neighbourhood and will not be published towards other residents for security and privacy purposes. No, due to security and privacy concerns, ONLY the Admins of the neighbourhood are allowed to view an event’s participants. Yes, you can select either one option or even all of the options listed. Note that for Participants option refers to only individuals that join the event, Unit Owner option refers to just the owners of a unit and Residents refers to residents in the neighbourhood including the tenants. The maximum attachments allowed will be 5. Note that individual file size should not be larger than 25MB. Yes, you can comment on your own inquiry. To do so, please go to the selected event > inquiry, click on “Reply”. As an Admin, you can only cancel an event that was created by you. Otherwise, the Cancel Event Function will not be made available while viewing events that are not created by you.